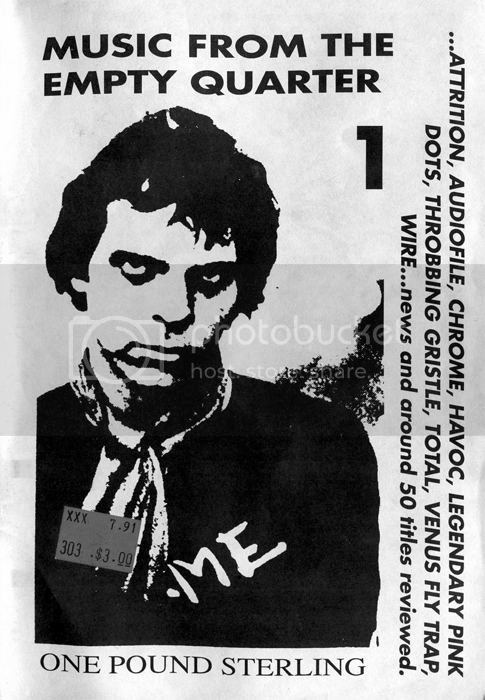 Here's issue 2, more priceless reviews and incite into the industrial music scene of 1991. This issue is alot thicker than issue 1, 70 pages. First issue of a what would come to be the bible for early 90's industrial. the reviews section is a goldmine of lost gems. enjoy. Published May 1991, my scan. 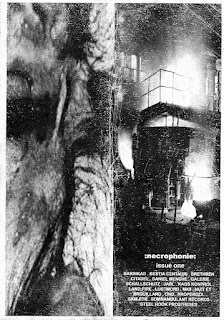 First up is :necrophonie:, my scan. it came in two parts, interviews and music reviews. printed on standard 8.5x11 paper, folded vertically for a tall profile. Released in '04 i believe. interviews with: GALERIE SCHALLSCHUTZ, JARL, LUSTMORD, MK9, NUIT ET BROUILLARD, PROPERGOL, SKM-ETR, KAOS KONTROL, LAND:FIRE, SOMNAMBULANT RECORDS, STEEL HOOK PROSTHESES, etc.